In a year that saw 10 Rolex First-Time Winners added to the roster of LPGA victors, the 2018 LPGA Tour season produced 26 winners from 10 countries across 32 official tournaments. Powered by determination, athleticism and a drive for greatness, the 2019 season promises to continue the upward growth of the world’s best female golfers. The 2019 LPGA Tour schedule will include 33 official events, plus the biennial Solheim Cup, which pits the 12 best players from the United States against their European counterparts. The Tour will visit 15 states and 12 countries (including the United States), with a record $70.55 million in official prize money. In a sign of the continued strength of the women’s game, the 2019 season will see $70.55 million in prize money, up from $65.35 million in 2018. The season’s largest purses come at the U.S. Women’s Open Championship, conducted by the USGA, and the season-ending CME Group Tour Championship, both with $5 million at stake. While the USGA will not confirm their 2019 purse until April 2019, they have confirmed the purse will be $5 million at a minimum. The CME purse will double from $2.5 million to $5 million, with the winner earning $1.5 million, the largest single prize in the history of women’s golf. Other purses to increase include three of the Tour’s five majors in the ANA Inspiration ($3 million, up $200,000 from 2018), the KPMG Women’s PGA Championship ($3.85 million, up $200,000 from 2018) and The Evian Championship ($4.1 million, up $250,000 from 2018). The AIG Women’s British Open purse is still being finalized but will be at least $3.25 million. 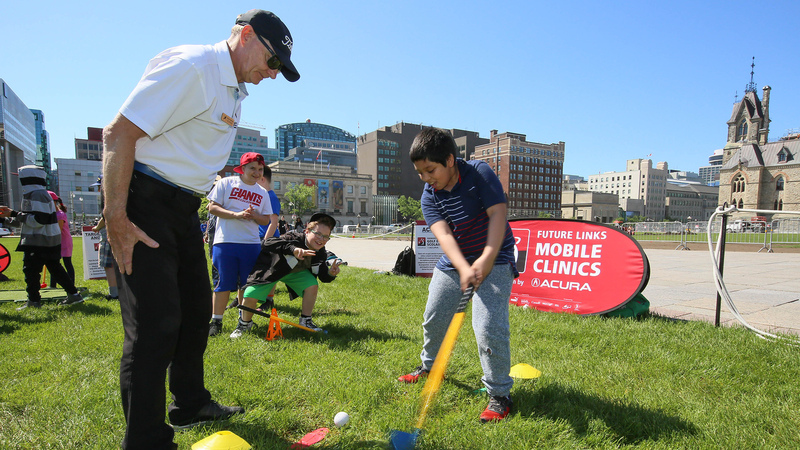 The purse at the LPGA MEDIHEAL Championship will increase to $1.8 million, up $300,000 from its inaugural year in 2018, while the purse at the Marathon Classic presented by Dana will increase to $1,750,000, up $150,000 from 2018. The 2019 season features four new tournaments, including consecutive inaugural stops to begin the year’s travel around the world. The Diamond Resorts Tournament of Champions presented by Insurance Office of America, to be held Jan. 17-20 at Four Seasons Golf and Sports Club Orlando in Lake Buena Vista, Fla., promises to be a week of world-class competition and entertainment. 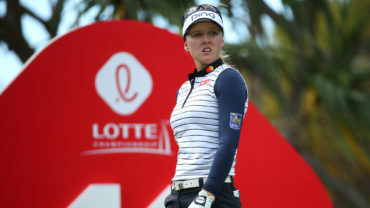 LPGA Tour winners from the last two seasons will play alongside celebrities from the sports and entertainment worlds. From there, the Tour heads Down Under, joining the European Tour at the Vic Open on Feb. 7-10 at 13th Beach Golf Links in Barwon Heads, Australia. The event marks the only professional golf tournament where men and women compete concurrently on the same course and for the same prize money. The Vic Open makes the ideal partner to the ISPS Handa Women’s Australian Open, which the following week returns to the Grange Golf Club in a three-year rotation of Adelaide’s golf courses. As announced earlier in 2018, the Dow Great Lakes Bay Invitational and the BMW Ladies Championship are also new to the 2019 LPGA schedule. The Dow Great Lakes Bay Invitational, which will be held at Michigan’s Midland Country Club in July, marks the first official team competition in Tour history. The LPGA’s newest stop in the Republic of Korea, the BMW Ladies Championship, takes the Tour to Busan and LPGA International Busan, the LPGA’s first golf facility outside the United States. It is the second stop on the LPGA’s annual Fall Asian Swing, which also takes the Tour through the People’s Republic of China, Chinese Taipei and Japan. Three season-long races will also build anticipation and excitement for players and fans alike. The Aon Risk Reward Challenge, a new competition on both the PGA and LPGA Tours, will feature the world’s best golfers as they navigate risk across the season’s most strategically challenging holes. The player from each Tour on top of the Aon leaderboard at the end of the regular season will each receive $1 million. 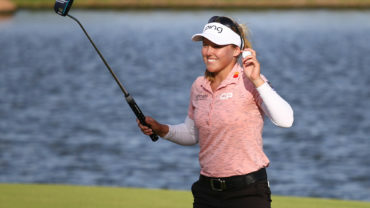 The Race to the CME Globe is evolving in 2019, with the top 60 players following the Blue Bay LPGA heading to the CME Group Tour Championship with the opportunity to win the $1.5 million winner’s check. In its second year, the LEADERS Top-10s competition will award $100,000 to the player with the most top-10 finishes, with Ariya Jutanugarn taking the inaugural title in 2018. The LPGA Tour will see 450 hours of domestic broadcast coverage on Golf Channel and network TV in 2019, with more than 475 hours available in 175 countries around the world. One stop on the 2019 schedule is still to be announced, as the contractual agreement for that event is not yet completed. That is expected to be finalized early in 2019, so players and fans should reserve one more week for an additional exciting Tour stop. Five players from five countries took home major championships in 2018, and 2019 will surely add even more history to the LPGA record books. In its traditional spot on the calendar, the ANA Inspiration kicks off the major season for professional golf. From April 4-7, the Dinah Shore Course at Mission Hills Country Club in Rancho Mirage, Calif., will play host to major drama for the 37th consecutive year. The Country Club of Charleston, where World Golf Hall of Fame member and LPGA legend Beth Daniel learned the game of golf, will host the 74th U.S. Women’s Open Championship, conducted by the USGA, from May 30 to June 2. 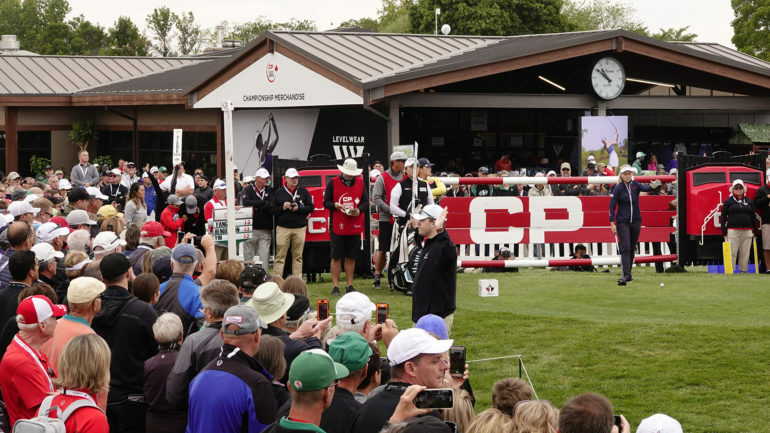 The fifth year of partnership between the LPGA and the PGA of America takes the KPMG Women’s PGA Championship to Hazeltine National Golf Club, to be held June 20-23. Hazeltine National has hosted some of the game’s most major moments, including U.S. Women’s Open wins for Sandra Spuzich (1966) and Hollis Stacy (1977), and in 2016, the USA’s largest come-from-behind victory in Ryder Cup history. The season’s final two majors take the LPGA Tour to Europe for consecutive weeks. The Evian Championship will move to July 25-28, reclaiming its place in the beautiful French summer. Along the shores of Lake Geneva and at the base of the Alps, the week in Evian-les-Bains, France, promises to be one of world-class glamour and competition. The LPGA’s major season will culminate Aug. 1-4 at the newly named AIG Women’s British Open, held at Woburn Golf Club, 50 miles northwest of London. AIG recently signed a long-term deal to be the title sponsor of the Women’s British Open, which has been a major on the LPGA Tour schedule since 2001. With major drama comes major competition. 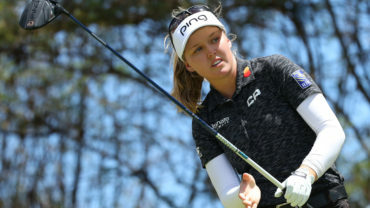 The season’s five majors build to the Rolex ANNIKA Major Award, which will be awarded at the Rolex LPGA Awards during the week of the season-ending CME Group Tour Championship. Named for 10-time major champion Annika Sorenstam, the honor is bestowed on the player who, during the current LPGA season, has the most outstanding major championship record. Ariya Jutanugarn captured the 2018 award, joining Michelle Wie (2014), Inbee Park (2015), Lydia Ko (2016) and So Yeon Ryu (2017) as award recipients. The PGA Centenary Course at Gleneagles will host the 16th Solheim Cup, marking the Cup’s return to Scotland for the first time since 2000. Gleneagles was the site of the 2014 Ryder Cup, which saw the European Team earn a 16½-11½ victory over the United States. The European Solheim Cup Team, captained by Scotland’s own Catriona Matthew, hopes to take inspiration from that victory as they face off against the Americans, with three-time Captain Juli Inkster at the helm, who took their own 16½-11½ victory at the 2017 Solheim Cup. The Americans will head to Gleneagles as the two-time defending champions, having mounted a furious Singles comeback in Germany in 2015 to take a one-point win. While the 2019 Symetra Tour schedule is still being finalized, the LPGA Tour’s official qualifying tour will have at least 20 events for the next generation of LPGA talent. The season will kick off in North Port, Fla., with the inaugural SKYiGOLF Championship hosted by Charlotte Harbor National Golf Club at Bobcat Trail from March 7-10. Since Symetra’s inaugural sponsorship year in 2012, the Symetra Tour has grown from 16 tournaments and $1.7 million in prize money to $3 million awarded over the course of 21 tournaments in 2018. 2019 will see the North Carolina return of LPGA Q-Series presented by Blue Cross Blue Shield of North Carolina, the two-week qualifying tournament that debuted in 2018 as a replacement for Stage 3 of Q School. Forty-eight players earned their 2019 LPGA Tour cards, led by KLPGA star Jeongeun Lee6, who claimed medalist honors and earned $15,000. North Carolina will also again host the LPGA T&CP National Championship, with the nation’s top teaching and club professionals returning to Pinehurst No. 8 on Aug. 26-28. Stephanie Eiswerth, University of North Florida women’s golf assistant coach and a Class A LPGA teaching professional, captured the 2017 title in her championship debut. In October, the third Senior LPGA Championship presented by Old National Bank will return to the Pete Dye Course at scenic French Lick (Ind.) Resort. Some of the greatest names in the history of the game hope to join Trish Johnson (2017) and Dame Laura Davies (2018) as Senior LPGA winners.